You are here: Home / Ethics Violations / What – Ethics Matter? For any governing body, transparent, ethical representatives are necessary to ensure the public’s trust isn’t violated. However, in our opinion Chairman Cheyne, Vice-Chairman Knoll and Mr. Smith have done just that. 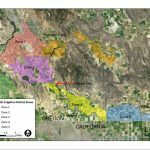 Later in February on the 19th, in the article “Irrigation District Dissent“, Herald and News report Lacey Jarrell reported on a meeting in Merrill where irrigators called the Board’s actions unethical, with many calling for Cheyne, Knoll and Smith to resign. 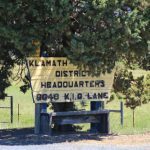 In the contentious meeting, the cause of Stuntebeck’s dismissal was over the issuance of check to the Klamath Water Users Association after the Board voted to be a part of the organization was brought to light. After the Board publicly voted to remain with KWUA, when irrigators weren’t around Cheyne, Knoll and Smith changed their minds. As of this writing, the $213,825 in fees collected from KID irrigators for KWUA membership has not been returned to irrigators, nor has the majority faction indicated how they’re going to spend it. To create more questions about the ethics and transparency of Chairman Cheyne, Vice Chair Knoll and Mr. Smith, the Herald and News reported on the possibility of open meeting laws being violated in the April 27th article, “KID may have violated open meeting laws“. Lacey Jarrell reported that these three men may have violated Oregon open meeting rules when they, along with attorney Lawrence Kogan, penned as what was seen as an “agressive and abrasive” letter to Edward Sheets concerning the Klamath Hydroelectric Settlement Agreement (KHSA). The Board, without approval from KID patrons, decided to oppose for reasons unknown to the public. (You can read the H&N article “KID considers fighting dam removal” to learn more). When I spoke to them, and they thought it was necessary to act, I acted. Now, did they all agree at the same moment in time? No, they did not. But they were all aware that this process was available and they were all aware that the KID was denied the opportunity to see the draft (KHSA). In the article, Kogan also admitted to making no attempt to speak with the other two KID Board member, Dave Cacka and Greg Carlton. This lack of transparency and regard for ethics sparked a reaction throughout the KID irrigation community. In his guest commentary in the May 22nd Herald and News, “KID board majority practices malicious deception“, farmer Ed Bair wrote, “The behavior of this group and their actions are not in the public interest. They continue to keep KID patrons in the dark about their motives and squander the district’s resources,” echoing the feeling of many irrigators.